The very first person I met through SCBWI was Barbara Lowell. She epitomizes the spirit of our SCBWI Oklahoma group – open and generous and willing to help anyone who asks. I am so grateful that she was the first to make a permanent impression on me. We met at one of the fall conferences, my first ever to attend. How lucky was I that she also soon became one of my very first critique partners, as well? I’m happy to say that she is still my critique partner to this day. We’ve both learned so much from when we started out as newbie writers, making typical mistakes and writing awful stories. Our whole group has grown and we have all come a long way from those stumbling beginnings. Barbara has fantastic suggestions that help me take my stories in much better directions, and even though she swears she could never write something so long herself, I’m not so sure she couldn’t if that’s where her passion led her. Fortunately for us, she loves writing dynamic and intriguing picture book biographies. I adore Barbara’s writing and have felt it a privilege to be a part of so many of her great stories. I’m so happy that the first of these has finally found its way to publication. Grosset & Dunlap. June 26, 2014. George Ferris, ever confident, didn’t know that the 1893 Chicago World’s Fair would make him famous, but when engineers were challenged to build something unique and original, he knew he was the person to create it. George had to convince the fair officials, find the money and design and build an amusement wheel that could hold 2,160 people at the same time, something no one had ever done before. Barbara was kind enough to stop by my blog to answer a few questions about her writing process and how she came to be the writer she is today. And she’s also donated not one, but two of her books for a fantastic giveaway! (I told you she was generous.) More details on that later. First, the questions! Valerie Lawson: What was the inspiration for this story? What made you want to tell it? Barbara Lowell: My husband was reading Devil in the White City by Erik Larson about the 1893 Chicago World’s Fair. What amazed him most was that George Ferris had built an amusement wheel with train-sized cars that could hold 2,160 people at the same time. As soon as he finished the book, I read it. Those two details and George’s confidence that despite overwhelming odds, he could and would build his wheel inspired me to write his story as a nonfiction picture book. I also loved how Mrs. Ferris absolutely believed in George. She rode in one of the six cars mounted on the wheel for a second trial trip. The glass for the windows hadn’t been installed. When the car she was riding in reached the top of the wheel, 264 feet, she stood on her chair and cheered. VL: I loved those details about the story. What devotion his wife had to test such a contraption. Mrs. Ferris must have been quite a character herself. I was surprised by the sheer size of this first Ferris Wheel – so big that each car could hold a 40-piece marching band. Would you ever ride in a Ferris Wheel that big? BL: I might try the new High Roller in Las Vegas. It is twice the height of George Ferris’s wheel, but holds 1,120 passengers verses George Ferris’s 2,160. VL: A book of this type requires an extensive amount of research. What is your writing process? How do you start a project like this? BL: I love history, especially American history and researching is fun. There are many interesting stories to find that are not well-known. I try to research the person or story I am writing about as thoroughly as I can. Since I learned about George Ferris’s wheel in Devil in the White City, I first looked at Erik Larson’s sources. His sources that I couldn’t find in the Tulsa library system, I either found at the University of Tulsa or bought online. One that I consulted over and over is Norman Anderson’s impeccably researched book Ferris Wheels. I researched the sources used for every book I read and dug deeper and deeper. I was able to find at the NOAA website that the lowest recorded temperature in Chicago in January 1893 was -16. I look for as many primary sources as I can – books written by and interviews conducted with the subject of my book, original documents and artifacts. I found an interview with George Ferris from 1893 – that was a great find. When I was unable to locate the answer to a question I had about George Ferris, I contacted the Chicago Historical Society. VL: That is very diligent researching. It must have been amazing to read George Ferris’s own words and then incorporate that into your story. Who were your childhood heroes and role models? What drew you to them? BL: From the time I was in third grade, I loved reading biographies, especially about people I could learn from. My favorite autobiography was Helen Keller’s The Story of My Life. I read many books about Eleanor Roosevelt and Theodore Roosevelt. All three subjects faced enormous challenges with great courage. I still read lots of biographies and nonfiction history. VL: I have such a strong memory of learning about Helen Keller, too. I thought she was amazing. When did you know you wanted to be a writer? When did you start pursuing that seriously? BL: I knew when I was a child that I wanted to be a writer, but I never tried seriously to become one until my daughter started high school. I thought, now I have the time to work on this and it maybe now or never. I tried on my own, but I was going nowhere until the wonderful Oklahoma writer, Anna Myers started the SCBWI Oklahoma Schmoozes (writers and illustrators meetings.) I attended the meetings and conferences, took online classes and joined a critique group. I began to learn how to write for children and continue every day to learn and improve. This is a tough business and the support of my fellow writers has given me the strength to pursue my writing goals. VL: You are so right! The need for support cannot be emphasized enough. I may have given up long ago if not for my SCBWI family. Tell me about the most memorable adventures you had with your friends outside of school. BL: I loved the summer. I lived in a neighborhood with lots of children. We spent our summers dreaming up adventures and then acted them out. A friend’s father helped build sets for a local theater group and one day he brought home a full-size Conestoga wagon. We had a great time traveling out west in our imaginations. One summer we set up our own outdoor laundry and went around the neighborhood asking for things to wash. We played all kinds of outdoor games. There was so much to do that every day seemed to last forever. I loved being a kid and that’s why I like writing for them. VL: Wow! A real Conestoga wagon? You kids must have had a field day with that. I think I would have wanted to camp out in it. Maybe sleep under the stars like a cowboy. I loved being a kid, too. I think you may have something there. BL: I finished researching a picture book biography, and I am working on the first draft. I have also recently worked on the first picture book I ever wrote and have rewritten it, not just revised it, for about the sixth time. I think I have finally made it work – but I have thought that before. I also have a new idea for a picture book biography and will start my research by reading the subject’s autobiography. I hope I can find a great story arc there. What are some of your favorite books for kids? BL: I think I can agree with almost every fan of YA – The Fault in Our Stars by John Green. I also love his book An Abundance of Katherines. I recently read Kathi Appelt’s latest middle grade novel The True Blue Scouts of Sugar Man Swamp and her book The Underneath is one of my favorites. Karen Cushman, Laurie Halse Anderson and Anna Myers write some of my favorite historical fiction novels. My favorite book period is To Kill a Mockingbird. I have a huge collection of picture book biographies and historical fiction picture books. My two favorites are Deborah Hopkinson’s Apples to Oregon and Patrick McDonnell’s Me…Jane (Jane Goodall.) I think his is the best picture book biography written. I also like all of Barbara Kerley’s biographies and one of my new favorites is On a Beam of Light (Albert Einstein) by Jennifer Berne. VL: There were some favorites of mine there and some new ones I need to read. Great suggestions. What has been the best part of being a writer? BL: Becoming friends with children’s writers. I absolutely love spending time with them and being part of this close community. Thank you so much for being here, Barbara. And I hope to have you back very soon! Learn more about Barbara Lowell here. And now for the fabulous giveaway! Barbara has generously donated two hardback editions of her new book GEORGE FERRIS WHAT A WHEEL. So there will be TWO WINNERS! This contest is open to everyone. The contest will run through July 18th and you can enter once a day. Good Luck! The winners can now been seen when you click on the giveaway site. Congratulations! Outstanding tribute and interview. Congratulations to both of you! Hooray for Barbara! Hooray for SCBWI! Hooray for Mrs. Ferris! I’d say that’s three cheers well-deserved. Barbara is one of the hardest working authors I know. I read it in manuscript form and knew it was destined to become a “book”. Congratulations! I completely agree. She never stops learning about the craft. Well-deserved success! I had this link saved for later and I finally got to it today. I enjoyed the interview and I always enjoy your blog, Valerie. I received my copy of the book a couple of weeks ago and thought it was wonderful. Congratulations Barbara! Oklahoma has such talented people! 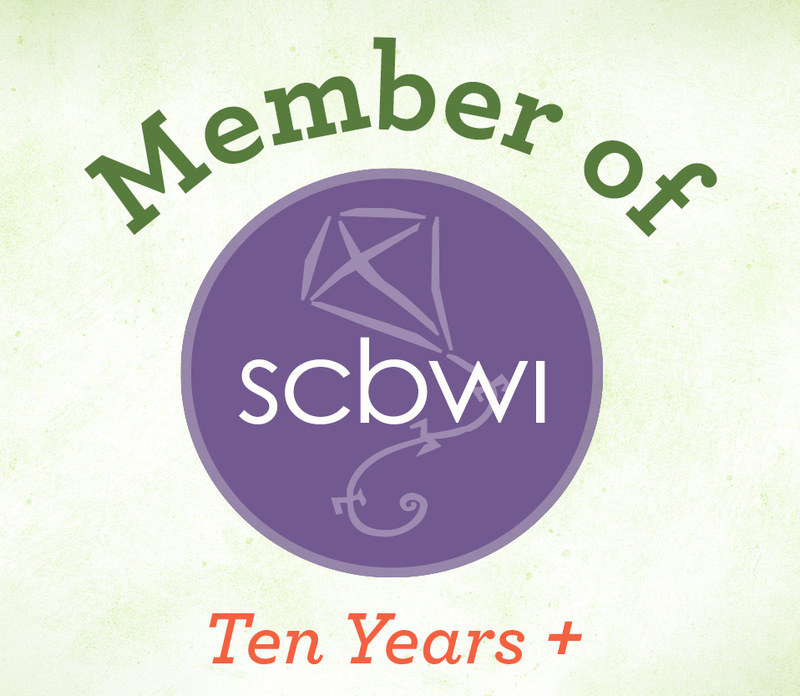 Our SCBWI is a wonderful organization and I’m happy to be a part of it! Thank you so much, Sandra. We are all so proud of Barbara. And we do seem to be overflowing with talented people. I think our group does have a lot to do with that. It’s a great place to cultivate talent.